We don’t know all about HTC’s plans, but this new recent teaser will definitely blow your mind. This week was a big one for HTC, as they launched the M8 running Windows phone and with this launch we can be sure that HTC is going to bring bigger surprises in the IFA, which is pretty close. 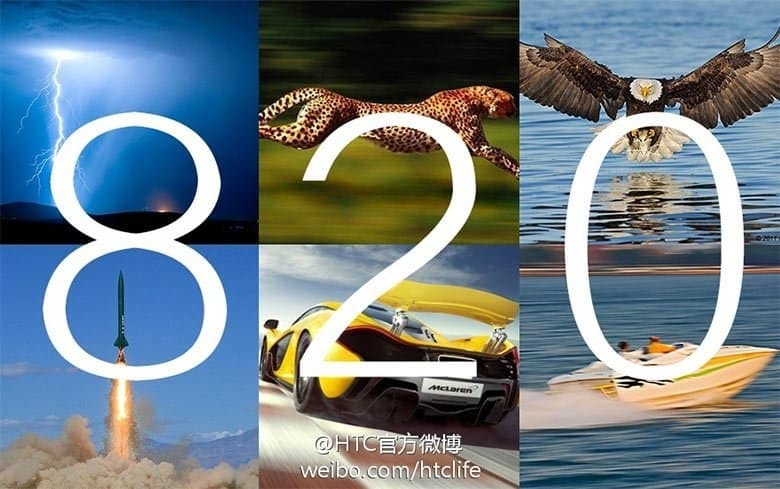 But HTC’s post on Weibo revealed that HTC has got some bigger stuffs to show off. 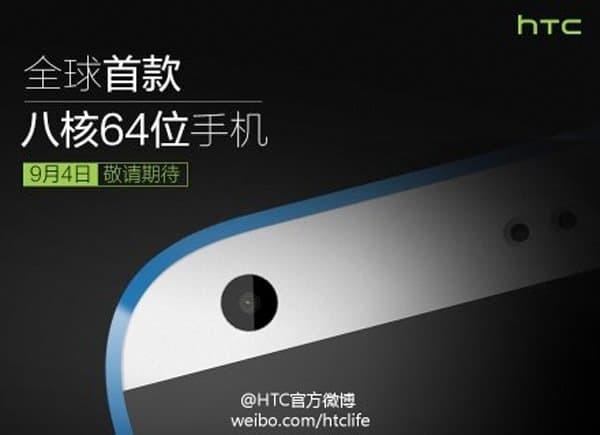 HTC teased the smartphone on its Weibo page, showing a mock-up of the device’s corner featuring a camera, some proximity sensors and a metallic-looking blue outline and is being believed to be the first octa-core 64 bit smartphone. The octa-core processor probably means this is a mid to high-end devices (unlike the model outed for Sprint). Qualcomm has recently been talking about its Snapdragon 615 SoC, an octa-core 64-bit component. But what device is it? Well, if we believe the image, we can predict that it is gonna be the Desire 820. There’s information floating around that the Desire 820 will feature a Qualcomm’s Snapdragon 615 SoCpacking a 64-bit octa-core CPU (four 1.8 GHz Cortex-A53 cores and four 1.0 GHz Cortex-A53 cores) and Adreno 405 GPU. But sorry, these are being believe to be rumour and we can’t surely say that the device is Desire 820. Well, looks iike we will have to wait for the IFA for the mystery to be revealed.